Axel Tuanzebe has gone on to admit that he was shocked by Luke Shaw’s performances during the training sessions. The Manchester United academy graduate was handed his first team debut by manager Jose Mourinho in January 2017, and he has since been involved with the senior players – playing as well as training with the main squad. And now, speaking to Inside United magazine, Tuanzebe has gone on to lift the lid on his first training session, wherein he was left immensely impressed by the levels displayed by Luke Shaw. “You don’t forget the first time you train with the first team,” recalled the youngster. “I remember vividly that Luke Shaw was absolutely rapid. Shaw has struggled to find a regular spot in Jose’s team, and was also criticised by the manager last season. The former Southampton player was an outcast in the side, but has now found his feet after making most of the chances that has come his way off late. It was expected that the Englishman will be shipped out in the ongoing transfer window or in the summer, but now, that seems unlikely. With the injury to Antonio Valencia, Ashley Young was asked to play as a right-back in recent matches, allowing Shaw to feature in the left-back role. The youngster has impressed in the recent set of games, and has been praised by Jose as well. 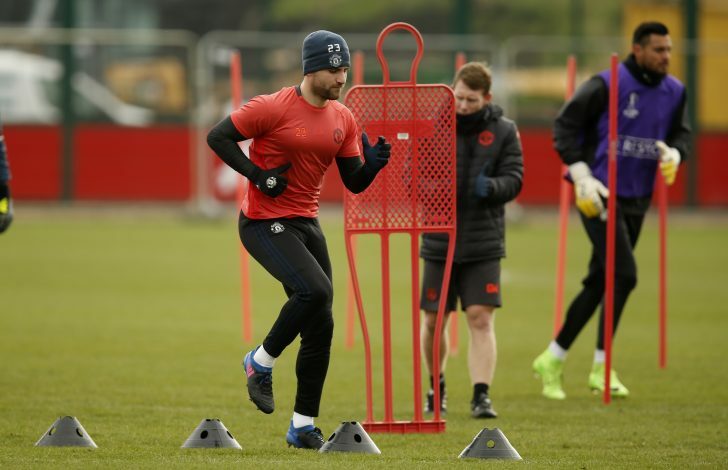 The 22-year-old Shaw has made 8 appearances so far this season, and his willingness to make forging runs and create spaces has been the highlight of his game. Therefore, Mourinho will surely be tempted to see him till the summer and then take a decision.